simplecall brings you a special treat for Polish people living in the USA. Making calls to Poland starts from 1.11¢ /min for l andlines and mobiles. At simplecall, we know exactly what our Polish customers need and we provide our cheap rates with your needs in mind. And to make sure that the whole calling process remains easy and uncomplicated, we offer you a PINless service that you can use instantly. You don't even have to leave the house to register and start using our international calling service - you can buy it online and start calling right away! Just visit our website at www.simplecall.com and register today. Our online service means you can check your balance and call history whenever you want. 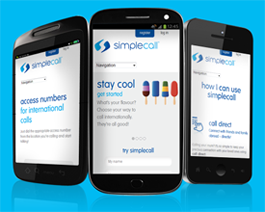 simplecall is not only about cheap rates – it’s about making your life simple. This is why you will find that our service is packed with all kinds of benefits and features. We even have a feature where you can store your most important numbers as a local number so you can make calls abroad with the press of a single button! There are about 10 million people in the US of Polish Descent. After the collapse of communism in 1990s, Poland embraced capitalism and its economy started to recover. After their entry in the EU, the impact of the free market economy became evident on Polish infrastructure.